So last week was full of inspiration! 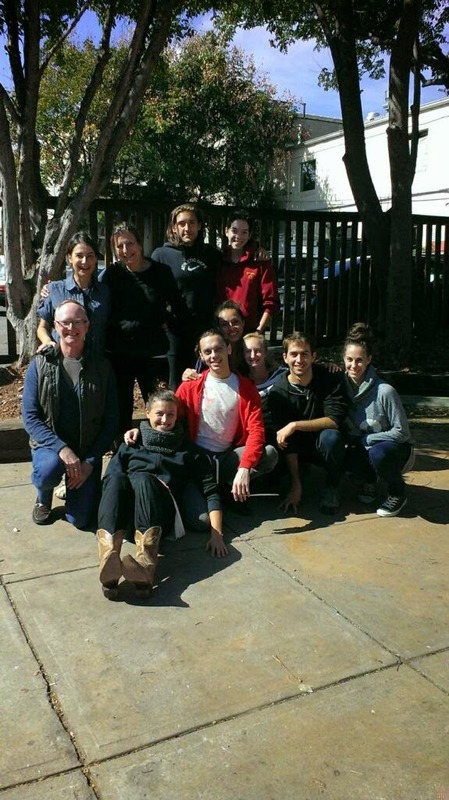 On Monday the company got to take a workshop with the Israeli company Vertigo Dance. After the workshop, we got to visit with them and talk about our experiences on different sides of the world making dances. There are so many similarities in how the work is collaborative between director and dancers and how they explore movement in the studio. There are also many interesting differences like how they sometimes work in a kibbutz and even rehearse there. We were very happy to share the time with them and sad to see them leave so soon. Hope our paths cross again in the near future! By Wednesday, we flew to Houston with the French choreographers Isabel and Adolfo from Association Manifeste. They performed their "Point of View on the Street Corner: The American Corner" piece outside the Magnolia Ballroom on Friday twice! It was so fun to see people getting off at a bus stop coming upon this wild, crazy, and thoughtful dance. It certainly was a beautiful evening for it too. I'll never forget how one lady walked up to me to ask about what she was seeing and after watching for 5 minutes she responded, "Now THIS is art. This is how art should be." I'm wondering if she was referring to the fact that it was free and available for everyone to see. Earlier on Thursday, we previewed the collaborative work we created between CORE & Association Manifeste called "Je Suis/I am" at the French Consulate-General's house. It was a blast! So many people there that night enjoyed the dance AND dancing with us. Then on Saturday we performed the full version of "Je Suis/I Am" at the East End Festival. One viewer decided to stay immersed in our dancing by sitting on a bench with us during our character section that took place on the bench. Talk about best seat in the house. Hope all of the Houston-ites enjoyed the weekend of French & American dancing! 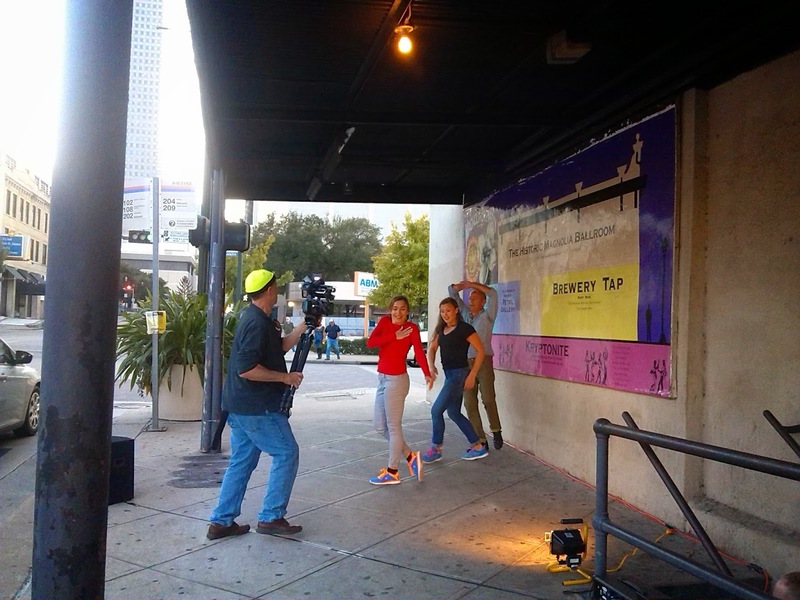 My name is Darren and I was privileged to see Core Dance perform from the Southwest corner of Franklin and Milam at 6:00 p.m. and 7:00 p.m on Friday night in Houston. I faced the North, to the dancers performing in step with each other and gliding videographer. As my ride pulled up before I got out of the car I saw a dancer having a "pleasure attack" against the wall; his name was Adolpho; I knew I was at the right place. The videographer was set apart yet he was floating in and out of the dancers. I saw Isabelle and Anna. I wondered who spoke French and how would I know without speaking to the collaborators. 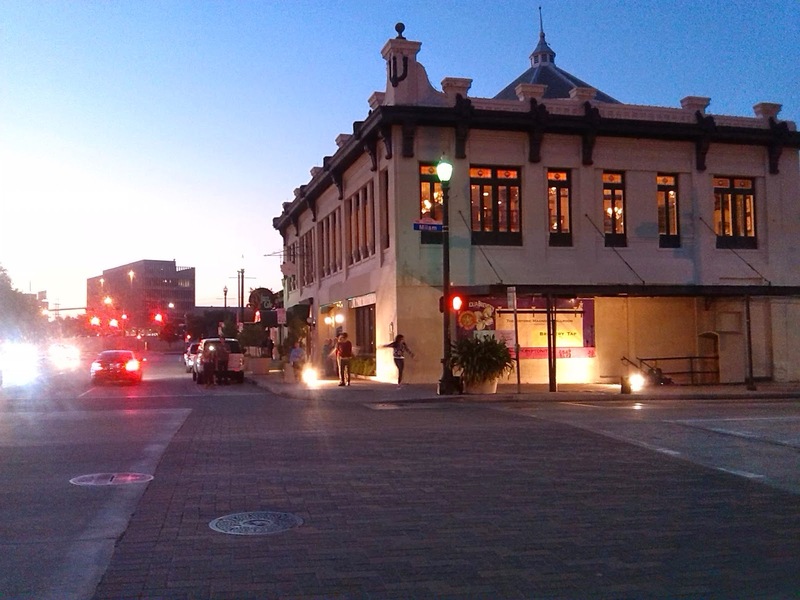 Feeling tears in the middle of the sidewalk in downtown Houston because of the dancing grace and beauty let me know that my path was complete in being there. It was an intimate scene with my lineage of teachers in my mind, my inner dancer in my heart, and the Core Dance dancers before my eyes. The three spoke a language in unison that needed no validation for worthiness, I understood. Seeing the dancers jutting here and there, moving through phrases, and playing with the extra ever present improv of performance, made me want to stretch and do yoga. In one section, the dancers illustrated being shot, which surprised me. I asked myself, "Did I shoot her?" And it reminded me of the fragile nature of formal dance training, constantly coming in and going out of the emergence of the heart into motion. A few words can hurt a dancer and strength has nothing to do with that type of hurt. The police arrived. While all the dancers danced as though they were shot and lay dead on the ground, the Houston Police just mysteriously happened to drive by and turn on the corner. I waited in wonder to what would happen next. The moment went by as another anomoly of dance: it is deeply interconnected with all of life. In fact, the second time I watched the performance, I noticed how similar the two performances were. There was a lot more choreography than improvisation in terms of movement, but by performing outside, the sky became darker and the street lights were on. There was again the intimacy, and fragility of falling due to the cracks and unevenness of the cement and difficulty seeing but the dancers did a wonderful job of acclamating to the scene. The fragility made me cry again. Speaking to Sue Schroder after the performance I got to share in the insights of the performance and she encouraged me to think about the fragile nature of life. For the rest of the night, I pondered it, I observed it, I felt it. It was wonderful to be with something that was so small and yet added up to something so wonderful. In the midst of downtown Houston, a spread out city, an air of intimacy was created to share what can only be said as the coolest and greatest gift of collaboration: intimacy. I can say that this is a really inspirign article pubkished so far! You brought a lot of positive moments!